Prof. Dr. J iří Jaromír KLEMEŠ Head of “Sustainable Process Integration Laboratory – SPIL”, NETME Centre, Faculty of Mechanical Engineering, Brno University of Technology – VUT Brno, Czech Republic and Emeritus Professor at “Centre for Process Systems Engineering and Sustainability”, Pázmány Péter Catholic University, Budapest, Hungary. Previously the Project Director, Senior Project Officer and Hon Reader at Department of Process Integration at UMIST, The University of Manchester and University of Edinburgh. Founder and a long-term Head of the Centre for Process Integration and Intensification – CPI2 , University of Pannonia, Veszprém, Hungary. Awarded by the EC with Marie Curies Chair of Excellence (EXC). Track record of managing and coordinating 91 major EC, NATO and UK Know-How projects. Research funding attracted over 21 M€. Co-Editor-in-Chief of Journal of Cleaner Production. He authored nearly 400 papers. A number of books published by Elsevier, McGraw-Hill; Woodhead;; Ashgate Publishing Cambridge; Springer; WILEY-VCH; Taylor & Francis). Chairperson of CAPE Working Party of EFCE, a member of WP on Process Intensification and of the EFCE Sustainability platform. Several times Distinguished Visiting Professor for Universiti Teknologi Malaysia, Xi’an Jiaotong University; South China University of Technology, Guangzhou; Tianjin University in China; University of Maribor, Slovenia; University Technology Petronas, Malaysia; the Brno University of Technology and the Russian Mendeleev University of Chemical Technology, Moscow. Doctor Honoris Causa of Kharkiv National University “Kharkiv Polytechnic Institute” in Ukraine, the University of Maribor in Slovenia, University POLITEHNICA Bucharest, Romania. 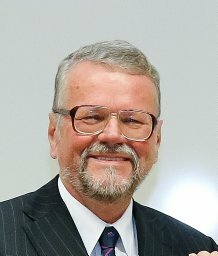 “Honorary Doctor of Engineering Universiti Teknologi Malaysia”, “Honorary Membership of Czech Society of Chemical Engineering”, “European Federation of Chemical Engineering (EFCE) Life-Time Achievement Award” and “Pro Universitaire Pannonica” Gold Medal. Professor Dr Amran Rasli has a PhD in Society, Business & Globalisation from Roskilde University, Denmark. He is former Director of Innovation and Commercialization Centre, Universiti Teknologi Malaysia. His main task is to screen UTM research and development projects, and subsequently, create commercial ventures through licensing and/or formation of spin-offs companies. He is a director of two spin-off companies on behalf of UTM. He also liaises, plans and conducts entrepreneurship activities with funding agencies to ensure the sustainability and impact for the entrepreneurs and the agencies concerned. At the Faculty of Management, Prof. Dr Amran Rasli teaches postgraduate students, supervise doctoral students, conduct research projects and write journals for publication as per the expectation of the university. Prof. Dr Amran Rasli is active in doctoral supervision having graduated 31 PhD scholars so far. He had been invited as a visiting professor at University College of Engineering and Technology, Pahang, Indian Institute of Risk Management, Hyderabad, India, Hebei University, China, Kaunas Technological University, Lithuania, National Central University, Taoyuan, Taiwan, National Chen Kung University, Tainan, Taiwan and Universitas Sebelas Maret, Surabaya, Indonesia. He is currently an Adjunct Professor at Asia E-University. 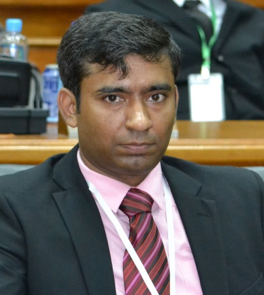 Muhammad Imran Qureshi is a doctor of management from Universiti Teknologi Malaysia. His doctorate research focused on the work practices for sustainable manufacturing under Socio-technical systems context. He is currently working as a senior lecturer in Malaysian Institute of Industrial Technology (MITEC), Universiti Kuala Lumpur. He is also founding Director of Connecting ASIA research network. He has ten years of teaching experience in the field of Operations Management, Strategic Management, Project Management, Total Quality Management, Statistical Process Control, Environmental Management, Logistic and Supply Chain Management, Production Management and Operations Research, Statistics and Data Analysis. He is a professional trainer for data analysis. He has conducted several workshops on Structural Equation Modeling (SEM) using AMOS and SMART PLS, qualitative data analysis using NVIVO. On the research side, his research profile consists of more than 100 research publications in renowned journals with a cumulative impact factor above 45. He has written several impact factor publications with world renowned publishers like ELSEVIER and SPRINGER in the area of Operations Management, Environmental Management, Sustainability and Organizational Behavior. His work has been cited extensively with 15 i10 index and h index 13. He is also author of three text books.